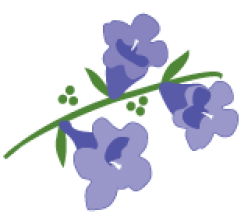 Posted on October 23, 2016 October 23, 2016 Author Jacaranda teamCategories Food, Holiday GIfts, Ladies Sleepwear, UncategorizedLeave a comment on Christmas Traditions Begin with Jacaranda Living – Start Yours This Year! Fresh, clean linens create a beautiful canvas for your tablescape. 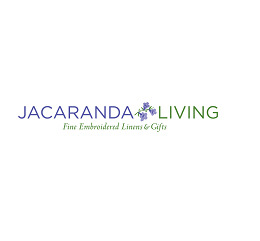 Keep it elegant by using white table cloths and beautifully embroidered napkins like the ones from Jacaranda Living. White linens can be multi – use as you can use them over and over again throughout the year for other holidays and celebrations. Use a Charger Plate instead of a place mat like this glittery orange one from Pier 1 Imports. 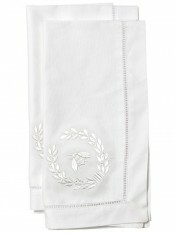 This will help to protect your white linen tablecloth, but also provides a pop of color. The glimmer in this charger makes it look subtly elegance and reflects a bit of that table ambient lighting. Candle lit dinners aren’t just for romantics. They make everyone at the table relax and who doesn’t look great in candle light! Use these silver plated candle stick holders from Pottery Barn with simple, white candles to create an luxurious look that you can reuse throughout the year. Create a centerpiece with natural elements. Seasonal flowers or even fruits and vegetables (like the persimmons in the photo below) or in our previous blog post about a DIY Centerpiece here. Make sure your centerpieces are kept away from flames and are low enough so that your guests can see each other from across the table. Nothing completes a table more than a proper place setting. Can’t figure out which fork goes where? Use Pure Wow’s guide to place setting here. Use natural elements like wheat stalks and a pendant to create pretty and reusable napkin right that can also help your guests find their seats. Be sure to leave plenty of room on the table for platters of all that delicious food you slaved away making! There’s a reason why many dining room sets come with a sideboard. This can be used as a buffet, to stow dirty plates, or display your desserts. If you don’t have a sideboard, use a simple pop up banquet table and place a nice matching table cloth over it. Spills happen, but don’t fret! When you set your table, create a bin full of fabric stain remover, carpet cleaner, and plenty of paper towels nearby. Display your menu to guests by using a simple chalk board or vintage sign. This will help them prepare by not over indulging on apps while they wait for the star of the show. Check out this DIY Chalkboard Menu from House on the Way’s Blog. As a host, you need to make sure you enjoy yourself as well. Your guests aren’t there just for your catering, they want to enjoy some time with you as well. The dishes can wait, relax and have fun!